The nearer housing, with white barge boards, represents private housing development from the 1970s and 80s. Beyond this area on the right hand side of the picture is housing built by the National Coal Board following the development of Calverton Colliery in the 1950s. 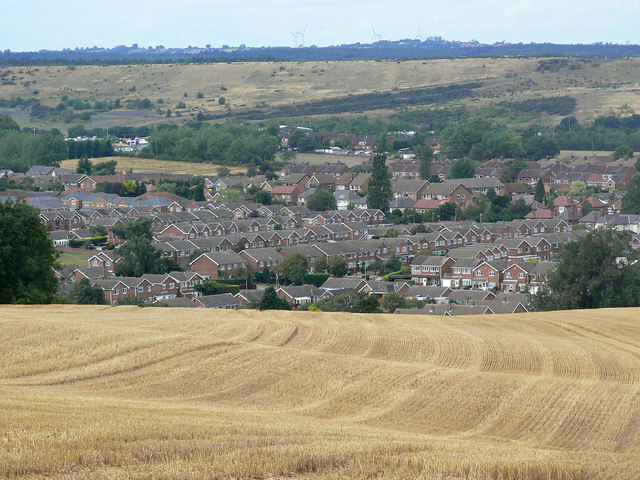 The colliery itself was situated at the left edge of the picture beyond the conspicuous field in the middle distance. Virtually all trace of it has disappeared except for the heavily landscaped spoil tip which forms the scrubby slopes in the background.